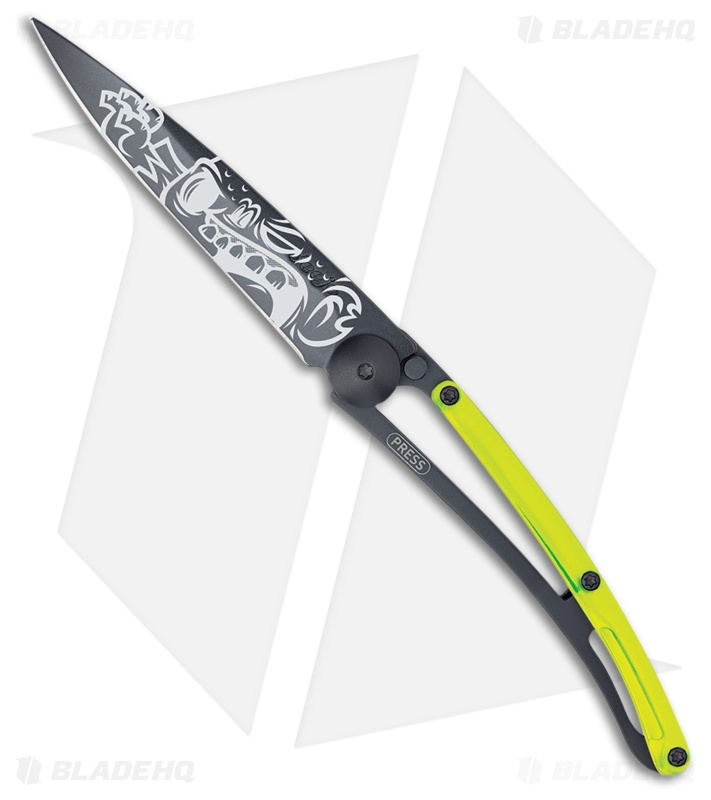 The Deejo 37 gram folding knife with Zombie Tattoo artwork, black titanium blade and yellow synthetic handle is a ultra-lightweight folding knife that is sure to be a conversation starter with it's unique and refined look. The 3.75" Z40C13 stainless steel hollow ground blade is an excellent everyday carry tool. The long blade easily handles your daily cutting tasks as the stainless steel frame lock securely keeps the blade open. Durable yellow synthetic frame adds an slash of color. Easily carry your Deejo with the tip-down stainless steel pocket clip.